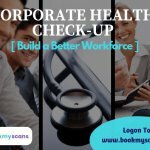 Do you Know - Why Full body Health Checkups are so Important? A spectrum of factors influence ‘Health’, as in inherited genes from parents, climatic conditions of our preferred home and surroundings and the nature of work we do. Scientific evidence reveals that individual lifestyles play a colossal part in determining ‘Health’. Food and liquid consumption, exercise, habits such as smoking, consuming alcohol or drugs, could affect one’s health, not merely with regard to life expectancy, but in anticipation to live without developing chronic disease. Getting a grip on one’s health may seem formidable, especially for those trying to change lifetime habits, like smoking. But healthy diet changes such as including more fruits and vegetables, reducing alcohol intake with regular exercise for fitness, will help to feel and look better and pave the way to live life to the fullest. With step-up in medical science and health care industry, there has been a decline and in some cases, termination of fatal diseases by the invention of vigorous vaccinations and treatment courses. There are however, some killer diseases that just don’t seem to display withdrawal from the body. Preventive methods that would ensure perfect health is to quit smoking and the use of tobacco, to eat a heart healthy diet and maintain healthy weight. Physical fitness and health consciousness is an asset to an individual. However there are other life threatening diseases that are in tow with heart disease. Respiratory diseases account for 10.2% deaths in India. The main cause being smoking and air pollution. Tuberculosis accounts for 10.1% deaths. Malignant and other tumours about 9.4% deaths. Unknown and undetermined health conditions account for 5.3% deaths. Digestive diseases account for 5.1% deaths. Diarrheal diseases account for about 5.0% deaths. Malaria: This fatal disease causes 2.8% of total disease related deaths in India. 95% of the country’s population resides in malaria prevalent areas. The causes of these diseases vary from not being vaccinated against communicable diseases to exposing one’s self to harmful habits, addictions, exposure to chemical or toxic compounds, ionizing radiation, pathogens, unhealthy food, medications, radio therapy, alcohol abuse, tobacco abuse, bacterial or viral infections or parasite transmission of germs. Health awareness educates, involves and empowers people and communities to make healthy changes to reduce the risk of developing chronic diseases and other indispositions. Our health system has focused on treating people after they get sick. The term ‘Prevention’ is typically used to represent activities that stop an action or behaviour. It can also be used to represent activities that promote a positive action or behaviour. ‘Disease Prevention’ is possible to a large extent. The government and private sectors take initiatives to eradicate epidemics and communicable diseases. However, some chronic diseases dig their claws into an individual, due to habits and addictions, and over a period of time, have a stronghold on the person. The ingress to aid in the smooth transition between the different stages of life demands a keen focus on monitoring a healthy life. 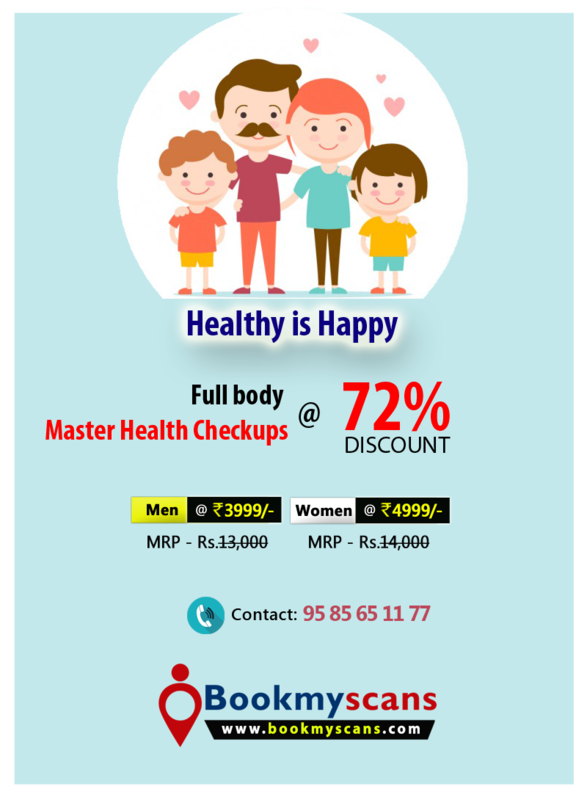 Complete Medical Checkup are thus, mandatory for every individual. These Full body Health Checkups are made easy and convenient. They come in packages. Various medical tests and diagnostic scans are conducted quickly, hygienically and comfortably under one roof. They are economical and consume less time. The results are delivered directly to the individual or emailed. Periodic reminders and the facility to collect the samples at home [especially in the case of the elderly] makes it a win-win situation for the service providers and the beneficiary. 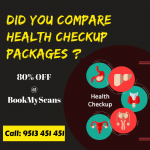 The Preventive Health Checkup packages consists of ‘full body’ check-up and varies in accordance with the person’s requirement. The facility helps one to monitor his/her health and be aware of medical requirements, to receive counselling and stay on the path to a healthy and happy life. Full body checkups are advised at regular intervals of six months.